Tongue and groove look plywood. That’s the beauty behind Columbia Forest Products’ Beaded Panels. But check the surface and you’ll find the lasting beauty of Columbia hardwood veneers, and that’s no illusion. Beaded Panels can be used for wall paneling, wainscoting, cabinet doors and cabinet backers or anywhere you wish to replicate the tongue and groove appearance of fine woodwork. Good looks and installation ease are just the beginning. 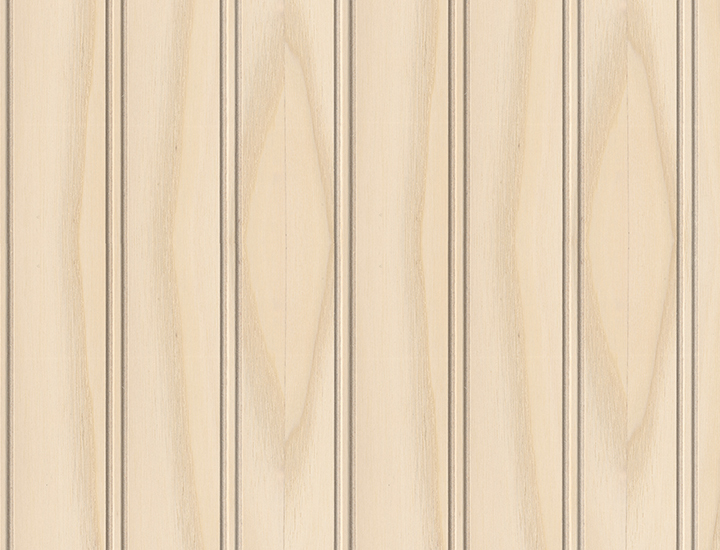 Columbia’s Beaded Panels feature a wide variety of decorative hardwood faces and backs machined with a 1 1/2″ or 3″ on-center beaded groove pattern. Our cutting heads are calibrated to ensure pattern uniformity across the entire sheet, for a convincing illusion of tongue and groove woodwork that matches any existing species used. And since Beaded Panels are unfinished, close color matching with existing molding and millwork is possible. You can finish them or use them in painted applications. Less time consuming and less costly to install, delivering the look of tongue and groove from a single sheet of plywood. Allows users to specify any species Columbia manufactures, giving designers and specifiers an abundant variety of natural wood grain and color pattern options. For specifications calling for formaldehyde-free hardwood plywood technology, Columbia offers PureBond® Beaded Panels which are constructed with no added urea-formaldehyde (NAUF) MDF. As with our entire PureBond® line, these panels are compliant with LEED NC 3.0/2009 credit EQ 4.4 calling for composite panel products with no-added urea formaldehyde. Please contact your Columbia or distributor sales representative for more detail on PureBond® Beaded Panels.